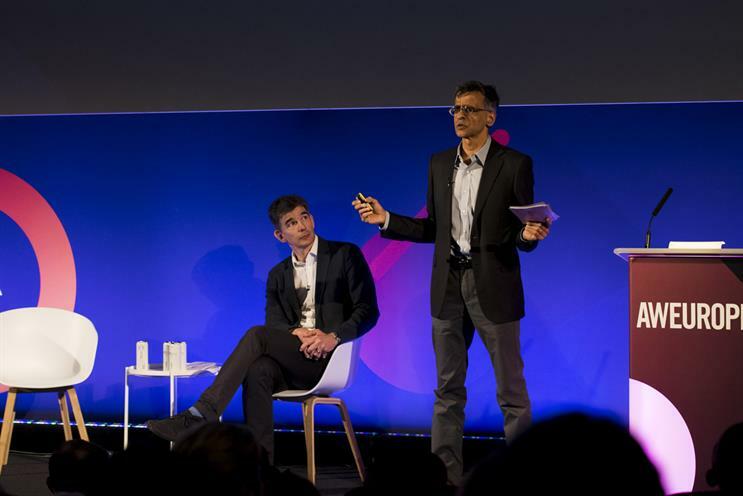 Google's senior vice-president of ads and commerce at Google, Sridhar Ramaswamy, assured the audience at Advertising Week Europe that the internet giant had long prioritised user security. "We have invested in security for a very long time. We’ve pushed for all interactions with ads to be encrypted, and this is true as well with Gmail," Ramaswamy said. He continued that Google's growing emphasis on user transparency and choice, will all "help us as GDPR approaches". During a follow up question-and-answer session with the press, Ramaswamy addressed the issues beleaguering Facebook more directly. "It becomes an ecosystem problem when a large party is involved in a problematic issue. It works both ways. What happened with YouTube reflected on Google and beyond. The larger issue is going to be whether consumers understand what rights and responsibilities platforms like Google and Facebook have when it comes to their data," he said. He added that he doesn't believe Google is susceptible to same misuse of data employed by Cambridge Analytica on Facebook. "Google users have individual relationships with each of our products, whether it's search, or Gmail, and so on. We are not much about encouraging you to share with others. It's not a social network so that kind of transitive data is not in the normal course of business when it comes to how we do things," Ramaswamy said. When asked if Google was considering if it would step up monitoring the use of its platform for political advertising, Ramaswamy said Google already had certain measures in place. "When it comes to campaigning, electioneering ads, we make sure we have a tight process for accepting money. We make sure advertisers go through a degree of vetting before we accept money from them. Political action committees have to register with us beforehand. We want to be very proactive about verifying who is advertising in what election," he said. The bigger problem is around monitoring breaking news or issues-based advertising, he continued. "It's a tougher one because there are no regulations around it." Ramaswamy was joined on stage by Matt Brittin, president EMEA, business and operations, Google to assure the industry that Google "has been listening" and will continue to work towards improving the ads ecosystem. Exactly a year ago, I was here on stage with Keith Weed (chief marketing officer of Unilever) and I apologised because some of you had ads showing up against inappropriate content and that was unacceptable. And we committed to you that we would improve. Today, we will recommit to all of you to make advertising work for everyone," Brittin said. Brittin and Ramaswamy then pointed to several of Google's recent initiatives including its Google News Initiative for publishers, its bad ads report and YouTube's Jicwebs certification. As part of cleaning up YouTube, Google introduced Google Preferred, the top 5% of content on YouTube with the promise to advertisers that this content would be manually vetted. "I am pleased to announce that this process is completed in the UK – all Google Preferred channels have been manually vetted," Ramaswamy said. Advertisers have also been asking Google for improved ways of measuring the effectiveness of advertising on its platforms. "It's become clear that there is a need for commonly accepted standards by which advertising can be measured. These metrics need to be verified and measured by third parties. We currently support 30-existing Media Rating Council standards and we are being accredited for 40-more metrics," he said. Ramaswamy also announced Google had extended its mobile measurement on YouTube with Nielsen to three new countries: the UK, Germany and France. It also has plans to expand its partnership with ComScore to 13 more countries. There is also a desire for a benchmark standard that will make advertising on YouTube comparable with TV advertising. "In a global first, we have partnered with AGF (Germany's joint industry committee) and the measurement of YouTube against TV will commence later this year. We are also keen to work with other Jics on this," Ramaswamy said.